Cool! Going to check it out! Will definitely check this out! Thanks! aw, rats! i don't have a FB page! good luck ladies! 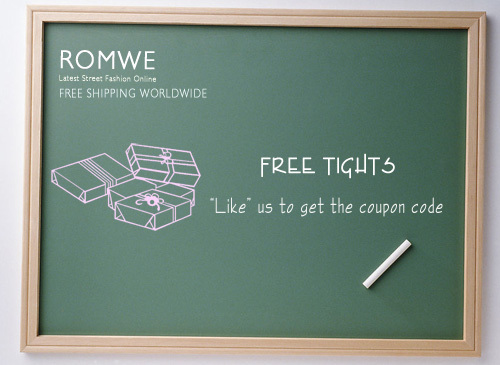 Romwe tights are amazing, I'm on my way to check it out! Got it. Thank you, cool idea! And thanks a lot for your lovely comment. I appreciate it a lot. Hi! I found your blog and I like it so much! I love it! thanks for your comments, I just bought tigths from Romwe cant wait to wear them! Do Romwe randomly choose which pair of tights you get or can I choose my own :)? And thanks for your ever so sweet comment. Am following! Hope you'll follow back. i like these prints, there are amazing and sooo inspirational!